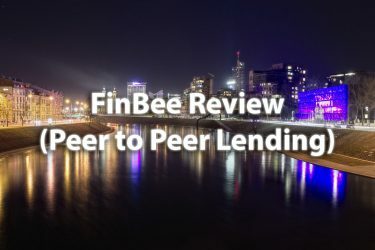 Dofinance Review: In this article, we are going to explore the key functionalities of a fast-growing P2P lending platform and find out if it is worth your investment. Are you looking for a reliable P2P lending platform offering high returns for investing? In our Dofinance Review, we will walk you through the process of investing in this platform and explain why it is a great platform to start with. 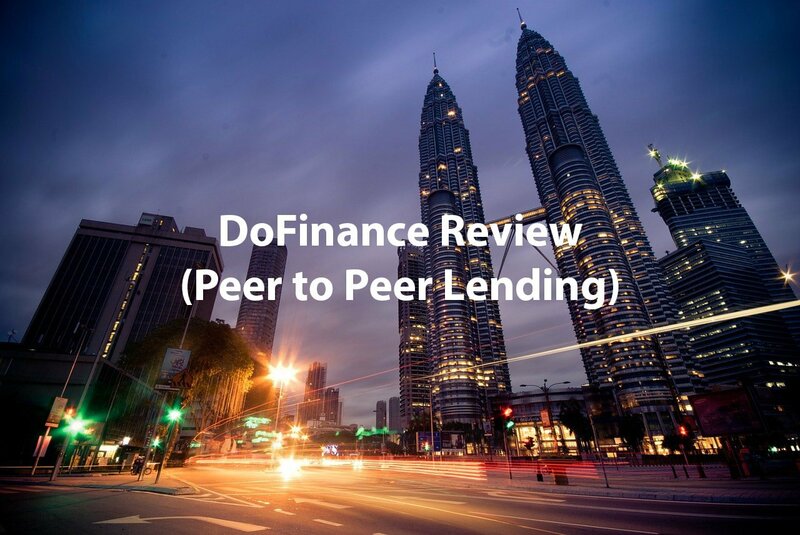 DoFinance, a subsidiary of the Alfa group, is providing its P2P lending service since 2015. It is one of the fastest growing peer to peer lending platforms. In less than two years it has expanded to Poland, Georgia, and Indonesia. It has acquired more than 150,000 registered clients and invested in loans worth over EUR 16 million already. Being a part of the Alfa group, this P2P lending platform works on creating original and modern financial services making investment possible in a safe, easy and smart way. DoFinance is now working on developing its operations in other European and Asian markets within the next few years. Opening an account on DoFinance is a pretty simple procedure. At first, you need to provide your email and password on its signup page. Within a few minutes, you will receive a verification link via email. Click on the link and it will take you to the main registration page. On the registration page, you need to provide additional information about yourself. Then you need to upload some documents and finally add funds to your DoFinance account. After registration, you will receive an email containing detailed information on how to add funds. Completing the setup of your account involves adding funds to it by transferring funds from your bank account. Transactions can take up to two working days. Once funds are available on your account, you can either manually select projects to invest or use the auto invest tool. The auto invest feature is described in the latter part of this article. To check details about how much you have invested and what are the expected returns from your investments go to the ‘Summary’ page and then click on ‘My investment programs’. DoFinance allows its investors to invest only in short-term consumer loans. It suggests investors to split their investment into several loans to decrease risk and increase return. Investors can choose to invest in loans with a term ranging from 1 day up to 60 months. DoFinance offers auto invest tool enabling investors to save time. Additionally, this feature ensures that your money works 24/7. 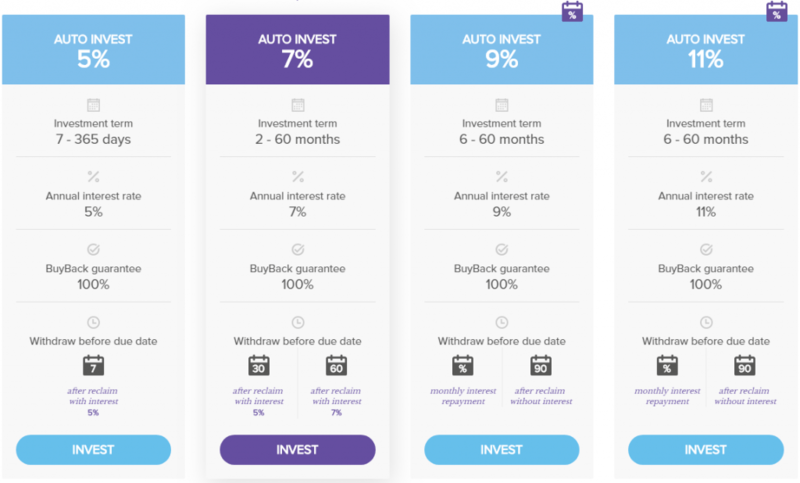 To use the auto invest feature, choose a program offering your preferable interest rate. Then select the total amount of investment you want to make and the investment term. This feature will create an investment portfolio based on your preferences and will automatically split your investment into several loans. It is possible to make a withdrawal canceling the programs the auto invest tool has invested in, before loan due date. 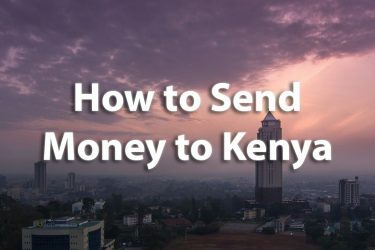 How much you can earn on this platform depends on the amount you have invested and the annual interest rate offered by the projects you have invested in. Investors can earn up to 5% annual interest rate if investments are made manually. Whereas, this platform offers an annual interest rate ranging from 5% to 9% if investors decide to invest using the auto invest tool. Who can invest in DoFinance? To become an investor in this platform an individual must be at least 18 years old and have a valid email address. The individual needs to hold a bank account within the European Union, EEA or some selected Asian countries. The best thing about this platform is, investors can invest a minimum amount of 10 EUR. All loans offer buyback guarantee. Annual return up to 9%. This platform has a lot to offer to investors. Investors thinking of investing in peer to peer lending should definitely consider investing in DoFinance. All loans available here are secured by buyback guarantee. The buyback gurantee means, if a borrower fails to pay off in time, the loan originator will repurchase the loan from the lender. This way the investor will receive the principal as well as the incurred interest. Besides, this platform offers a competitive annual interest rate. All these make DoFinace a perfect investment platform for new investors as well as experienced ones. 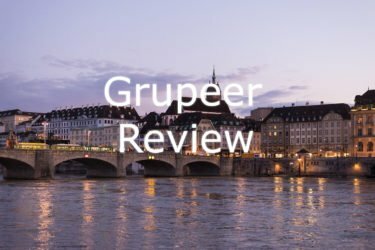 You can consider some other peer to peer companies checking our IUVO review and our Grupeer Review. 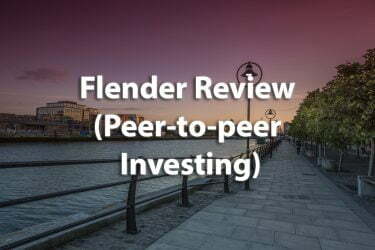 Check our post on the best peer 2 peer lending platforms in Europe, and the best real estate crowdfunding platforms in Europe. Are you already investing in DoFinanc or in any other peer to peer lending platform? Leave your thoughts and questions about this DoFinance review below.